I wish you a very happy Friday! Do you know that one of the places many people neglect when they are thinking decor in the house is the bathroom? Either it’s the master bathroom or the guest washroom, I think that area of the house also needs to be shown some love! After all, it’s the one place in the house where you will likely find yourself alone, in a certain state of mind! Most of my inspirations and deep thinking take place when I’m in the bathroom showering myself with Mother Nature’s most precious gift – water – or doing you know what… ! I treat every moment I spend alone in there as a little getaway spa time! 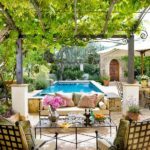 Even if you’re not much of a decor enthusiast, the idea behind this is to try to make that little corner of the house as welcoming and relaxing as possible. 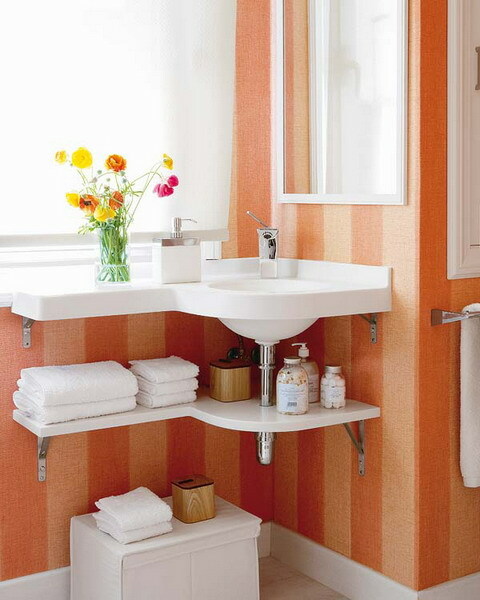 Here are a few ideas and inspirations for a well-styled washroom! Coucou les amis! Juste quelques idées de jolies et présentables salles de bain! Quand il en vient à ce petit coin de la maison, beaucoup ont tendance à ne pas y donner grande importance côté décor; alors que c’est l’endroit par excellence où nous nous retrouvons souvent seuls! Que ce soit pour prendre ma petite douche française ou aller “au petit coin”, pour moi, c’est l’un des endroits où je me retrouve dans de profondes réflexions et même où beaucoup d’inspirations me viennent! Alors, je pense qu’il faut quand même y mettre de petites touches, que ce soit dans la salle de bain principale ou celle des visiteurs! Ça en vaut le coup! 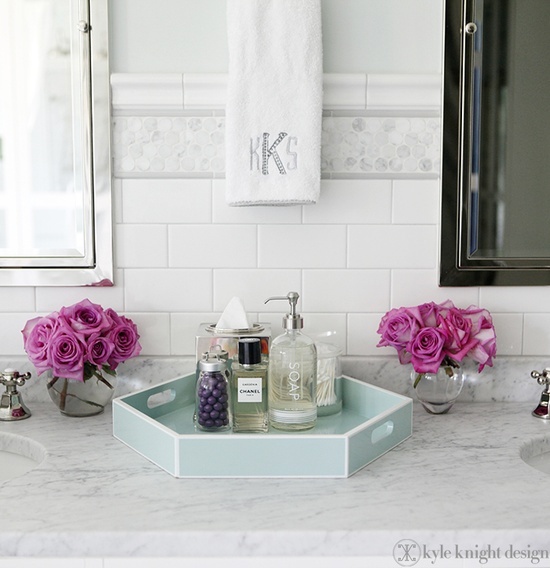 I just love this bathroom by Kyle Knight Design! Isn’t it amazing how a simple tray can help pull a space together? And these flowers are the perfect addition for this little set up! I can’t tell you how I’ve been crushing on Wall Paper designs lately! I love all the little details in this powder room! Via Justin Berhraudt. 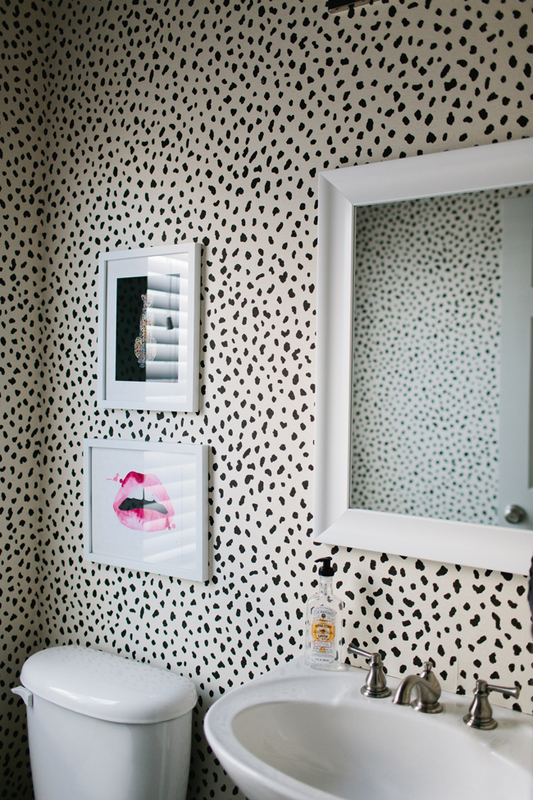 So in love with this Cheetah Wall Paper bathroom, by Jennifer Wagner Shmidt! That lips frame is everything! Double mirrors! Simple and neat! Who wouldn’t love this? 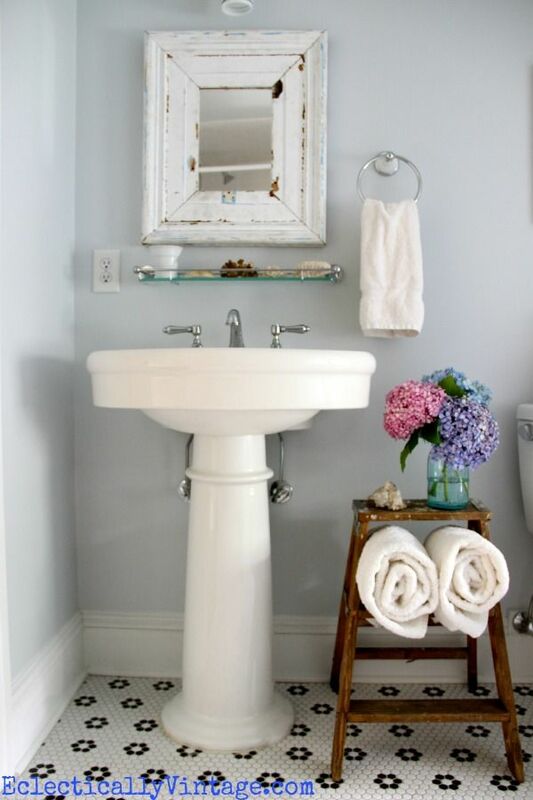 Loving this storage idea in this vintage bathroom! Which one is your favorite! Enjoy your weekend! 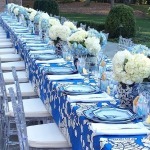 7 Creative & easy ways to transform your room from blah to Glam!!! That looks great! So inspirational! Bathrooms are very important. My new bathroom is like a SPA, lol. I really enjoy being there. 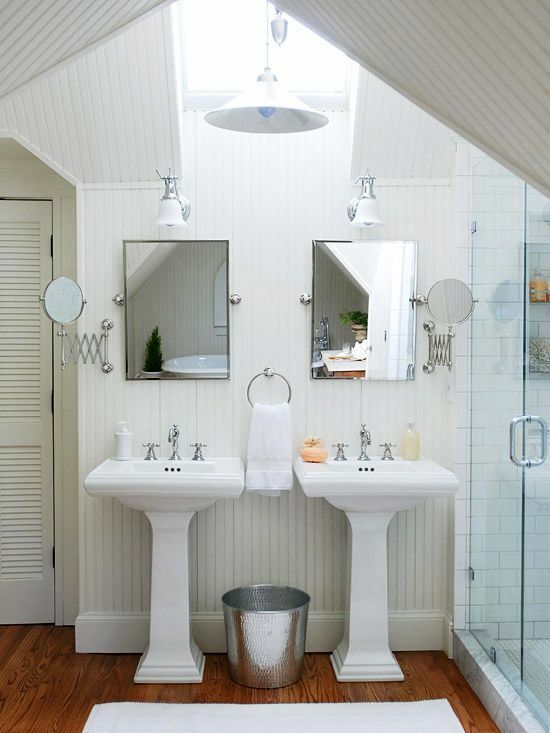 I love a pure white bathroom, fresh and classic. Love all of the inspiration above! Home decorating is so much fun! 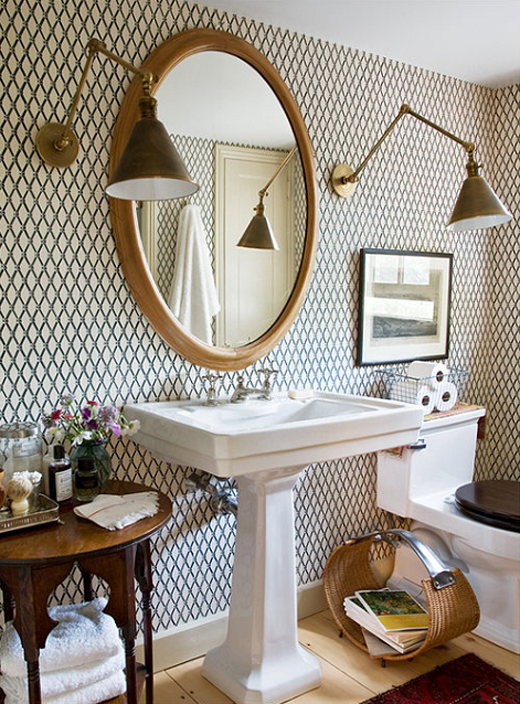 I love the Chettah print wallpaper, but the Justin Berhraudt look has to be my favorite! So polished and unique! I agree! I find it to be beautifully done!